Have you noticed various posts that are written slightly different? On occasions, a professional writer, entrepreneur and freelancer scribes various posts here at Online MLM Community. His name is Greg Boudonck. Greg has been writing professionally for 10+ years. Greg’s favorite subjects are business and personal development, and he loves sharing his knowledge with other people who desire to learn more to achieve great things in their business and life. Greg also has a love for the MLM business model. He has a desire to help change the perception of MLM so that people will accept it as a viable business system. 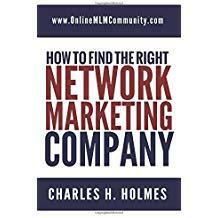 He has discovered that by researching and sharing what he learns, both he and others can help grow their MLM businesses one step at a time. Greg is originally from the Midwest United States but now resides in Puerto Rico where he writes full-time, and manages his MLM company part-time. Greg has over 50 books published, and a slew of articles roaming the internet. You can know Greg better by visiting his website at LancerLife.com.